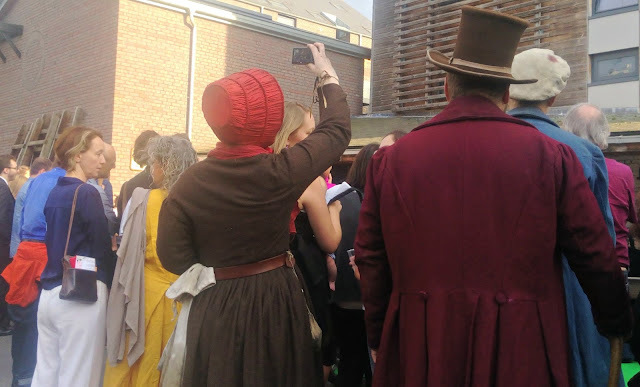 A clash of timelines as a couple of Victorians joined us to watch Cirque Bijou at the SS Great Britain's birthday celebrations! That photo looks quite funny as you have the contrast in generations. Their costumes look really authentic, too!